India on Friday had lashed out at Pakistan’s new PM Imran Khan, saying his “true face” has been revealed to the world in his first few months in office. Pakistan on Friday expressed deep disappointment at India’s decision to cancel a meeting between Indian External Affairs Minister Sushma Swaraj and Pakistan Foreign Minister Shah Mehmood Qureshi which was scheduled to be held on the sidelines of the UN General Assembly (UNGA) session later this month. “The government of Pakistan is deeply disappointed at the announcement made by the Indian Ministry of External Affairs in New Delhi today (Friday) about the cancellation of the meeting of the Foreign Ministers of India and Pakistan, which was to be held on the sidelines of UNGA in New York,” the Pakistan Foreign Office said in a statement late on Friday night. “The reasons cited by the Indian side for the decision to cancel the Foreign Ministers’ meeting, within 24 hours of its public confirmation, are entirely unconvincing,” it said. New Delhi on Friday called off a meeting between Swaraj and Qureshi following the nation-wide outrage over the brutal killings of Indian security personnel by Pakistan-based entities. India also lashed out at Pakistan’s new Prime Minister Imran Khan, saying his “true face” has been revealed to the world in his first few months in office. 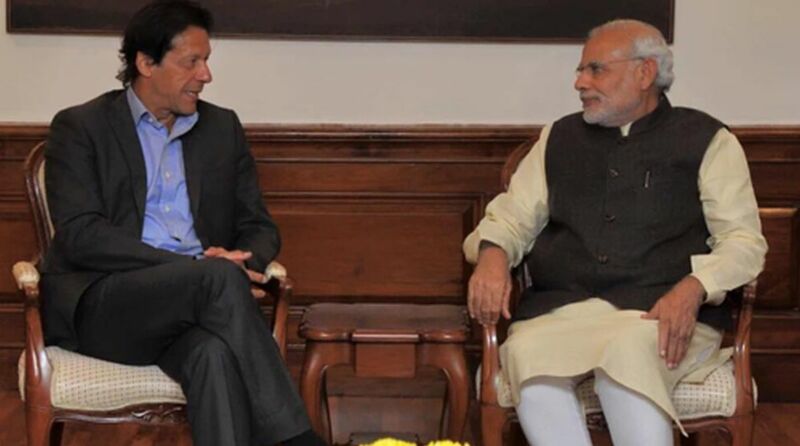 The cancellation of the foreign ministers’ meeting came within 24 hours of India announcing that it has accepted the Pakistan PM’s request to Prime Minister Narendra Modi in a letter for such a meeting. In a strongly-worded statement, External Affairs Ministry spokesperson Raveesh Kumar noted that since Thursday’s announcement of a meeting between the two foreign ministers, two deeply disturbing developments have taken place. “The brutal killings of our security personnel by Pakistan-based entities and the recent release of a series of 20 postage stamps by Pakistan glorifying a terrorist and terrorism confirm that Pakistan will not mend its ways,” he said. The spokesperson said the decision to agree to Pakistan’s proposal for a meeting between the foreign ministers was in response to the spirit reflected in the letters from the new Prime Minister and his Foreign Minister. The letter from Khan had spoken of inter-alia bringing a positive change and mutual desire for peace as also readiness to discuss terrorism. It is learnt that senior officials of the PMO and the External Affairs Ministry held a meeting on Friday afternoon and took note of the nation-wide outrage over the mutilation of the body of the BSF jawan near Jammu and the abduction and killing of three J-K policemen.